Tina Hazlett manages a vineyard in New York's Finger Lakes region that's been in her husband's family since 1852. But she worries a plan to store natural gas in nearby underground caverns could pollute Seneca Lake, which is the water supply for close to 100,000 people. Driving around Seneca Lake, evidence of industry is everywhere. The wine industry, that is. There are fields upon fields of grapevines, wineries and tasting rooms nestled along the lakeside. Lou Damiani, co-owner of Damiani’s Wine Cellar, grew up around here. He and his partners started clearing land and planting grapes back in the early 1990s. “[We] realized the revolution that was taking place here in the grapes we could grow and the wines we could produce,” Damiani says. 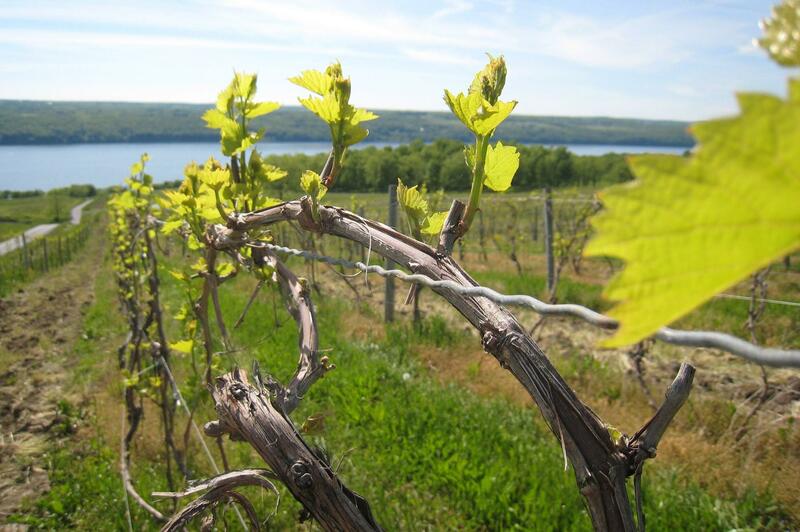 In recent years, internationally known vintners have moved to this part of New York’s Finger Lakes region. The industry has blossomed to include more than 100 wineries, distilleries and breweries. It’s been named a top destination for wine lovers. But even with that kind of momentum, Damiani decided to hedge his bets and keep his job at Cornell University. Tourism is a $3 billion a year industry in the Finger Lakes, employing nearly 60,000 people. On a late spring weekend earlier this year, the town of Watkins Glen in Schuyler County—especially the nearby state park on the southern edge of the lake—was packed with people taking selfies. It’s one of the most visited state parks in the country. The wine is a big part of the draw here. Tourists also boat and fish on Seneca Lake—a deep, salty lake that supplies drinking water to 100,000 people. In fact, salt has been mined under the lake for more than a century. Looking out the tasting room window, past the grapevines, Damiani points to the US Salt plant across the lake. Mike Gilbert, who’s worked at the plant for 15 years, says to get the salt, they pump millions of gallons of water down thousands of feet into the caverns at high pressure. The salt dissolves in the water; then they pump it back up. The brine is stored in open ponds or pits. When it’s heated, the water evaporates and the salt that’s left behind is harvested. 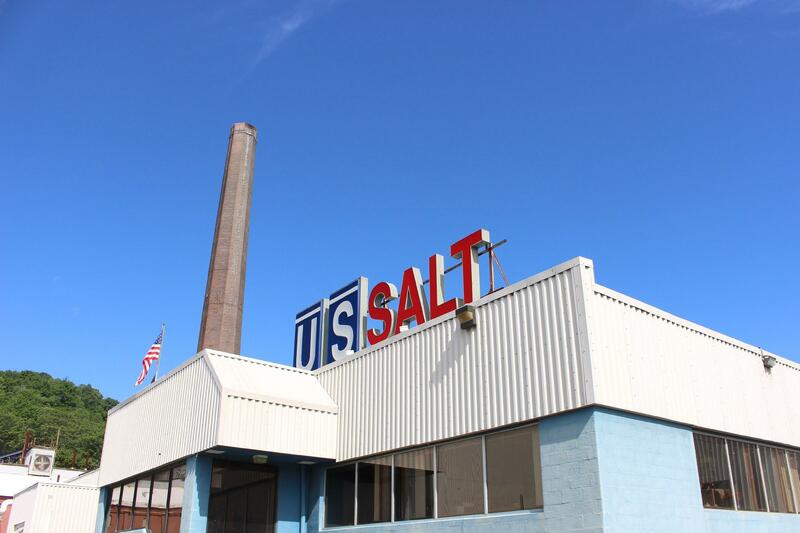 The US Salt plant in Schuyler County, New York on the shores of Seneca Lake. But now an energy company wants to use those salt caverns for a completely different purpose. Crestwood, which has owned the US Salt plant since 2008, wants to use the caverns to store propane and butane. The company already stores some methane—the main component of natural gas—in the salt caverns and also wants to expand that capacity. Gilbert says his United Steelworkers local supports the project. Crestwood plans to add up to 17 full-time jobs. But a lot people think the plan carries too many risks. More than 600 protesters have been arrested during the years Crestwood’s storage plans have been under consideration. They regularly stand at Crestwood’s front gates with signs like, “Make love, not methane,” and “We are Seneca Lake.” California anti-fracking activist David Braun recently joined them. Braun is talking about the huge leak from a facility in Aliso Canyon, where gas is stored in depleted oil fields. The leak spewed methane into the air for nearly four months, before being plugged in February. “Like the facility here at Seneca Lake, the Aliso Canyon facility was created from unlined holes in the ground that were never engineered to store anything—let alone highly pressurized flammable gas,” Braun said. Last year, the New York Department of Environmental Conservation (DEC) found that opponents haven’tprovided adequate proof or scientific evidence to back up their concerns about Crestwood’s plan—although the agency hasn’t given final approvals for the project. But the Federal Energy Regulatory Commission has already approved the natural gas expansion project. Viners in New York's Finger Lakes region are concerned that a new plan to store natural gas in nearby salt caverns could pollute the region's water supply. But New York Governor Andrew Cuomo’s administration hasn’t been the greatest ally of the natural gas industry. In 2015, Cuomo banned fracking in New York. And this spring, the state DEC denied water permits for the Constitution natural gas pipeline, a project that will transport gas from Pennsylvania to Albany. That decision is being appealed. Opponents of Crestwood’s plans want the DEC to continue this trend. They say the company is trying to make Seneca Lake a hub for fracked fuels from Pennsylvania to supply the entire Northeast, and they want the administration to stop it. In the region’s wine country, many are worried about the project’s impact on water quality. 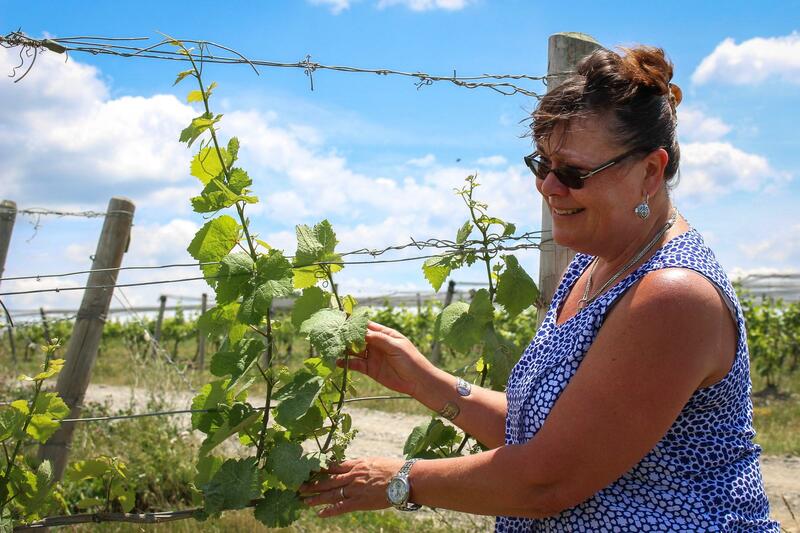 Tina Hazlett, who manages a vineyard that’s been in her husband’s family since 1852, says Seneca Lake is already the saltiest lake in the Finger Lakes. She says research shows moving pressurized fuels into and out of the salt caverns could push the salinity of the lake even higher. That could make the lake unusable as drinking water. "I am risking arrest with you all today because of disasters with gas storage that I have seen up close. Don't let it happen here." Geologist John Halfman lives here and has been studying the salinity issue in Seneca Lake for 25 years. He says storing fuels in the salt caverns should be safe. Neither Crestwood nor the DEC would comment for this story. 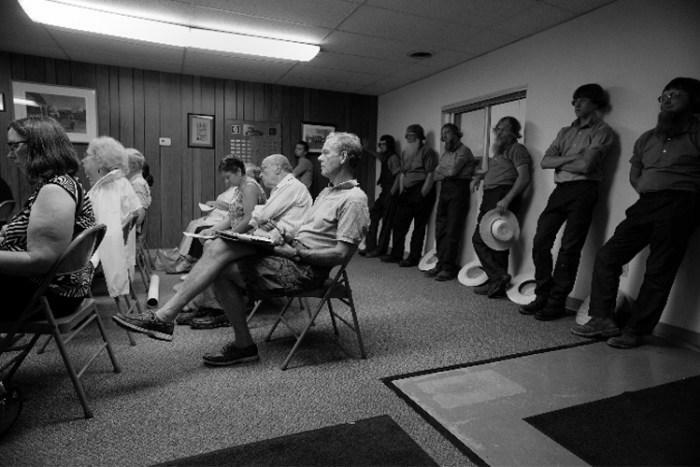 The community is awaiting permitting decisions. 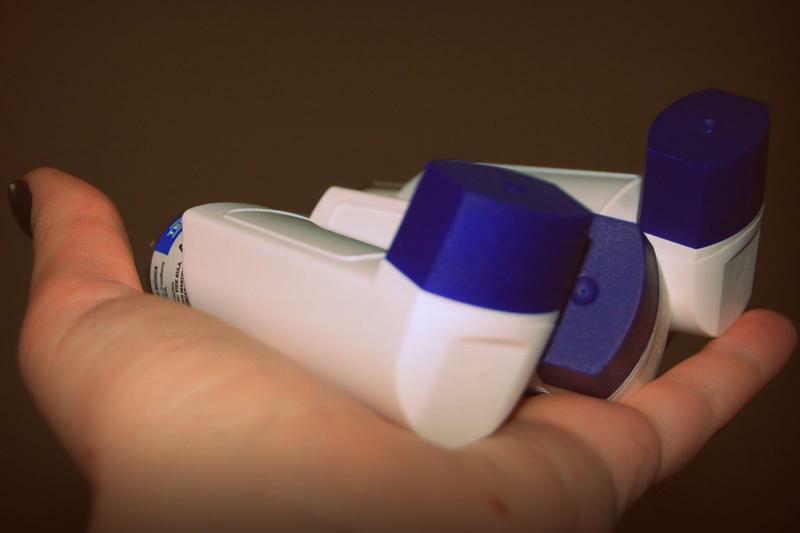 This story is part of the Allegheny Front series Follow the Pipeline, which explores the health and environmental impacts of the region's expanding natural gas infrastructure. 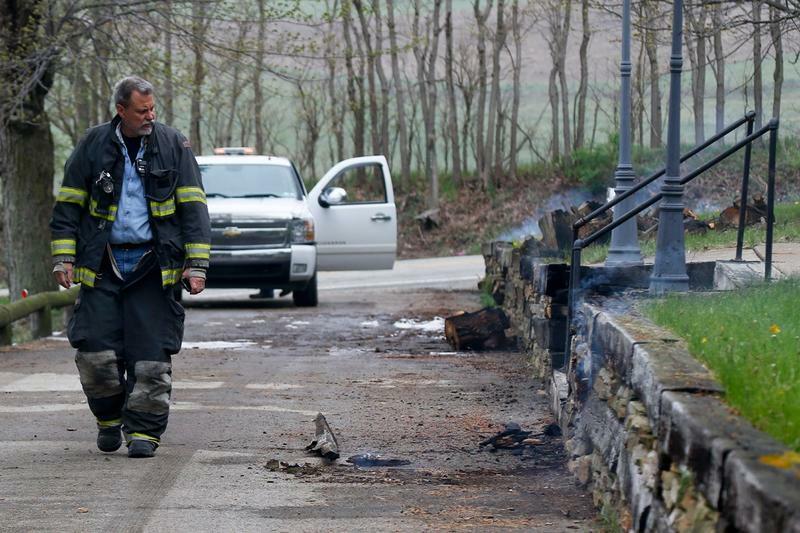 On the morning of April 29, a natural gas transmission line exploded in a field in Salem Township in western Pennsylvania. On a road overlooking the Ohio River, Michael McDonald gazes out over swarms of backhoes, bulldozers and piledrivers. He points to a large patch of bare ground. “That’s where the actual cracker units will be,” he says.